U by Kotex® offers a full line of feminine care products for periods including pads, liners and tampons offering outstanding protection that keeps you one step ahead. U by Kotex® Ultra Thin pads with 3D Capture Core* and the Xpress DRI* cover offer crazy fast absorption to help stop leaks. 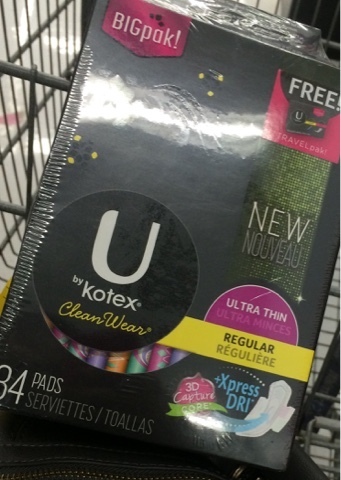 As an #UnderWarrior, I'm on a mission to Save the Undies* with U by Kotex® pads how are you saving the undies? Visit UbyKotex.com to order your free sample of U by Kotex pads with Xpress DRI*!